Flight schedules for Telluride Regional Airport (TEX) and Montrose Regional Aiport (MTJ) have been released. 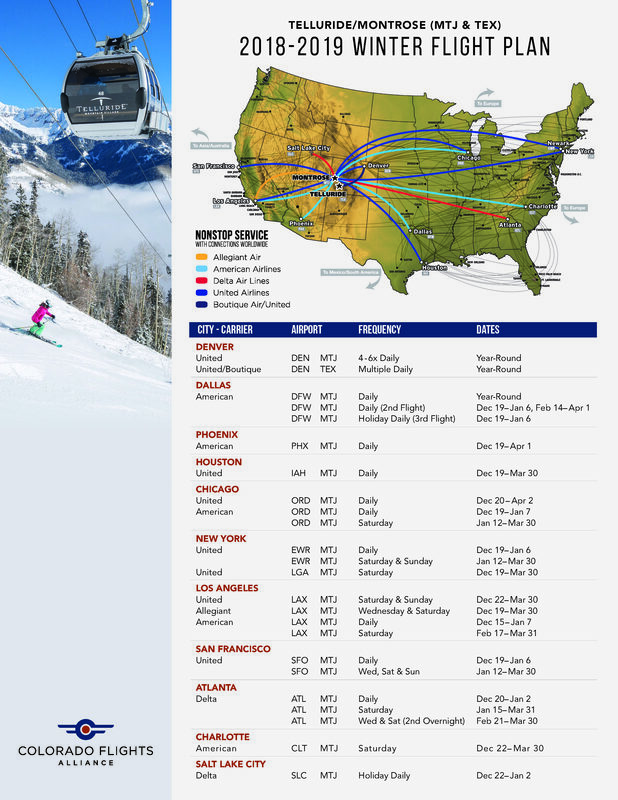 Highlights include United/Boutique to Telluride (TEX), added daily holiday flights from San Francisco (SFO) and New York (EWR), and larger jets on the Dallas (DFW) mainline routes. We have entered the core booking season for winter, with sales growing each week from now through the beginning of December. Be sure to book early for best options and pricing!